JAMES CORNELIUS BYLENGA (JAMES C BYLENGA) CRD#: 705143, of Kalamazoo, Michigan, was barred by the Financial Industry Regulatory Authority Inc. (FINRA) from acting as a broker or otherwise associating with a broker-dealer firm on April 5, 2019. According to the FINRA report, without admitting or denying the findings, JAMES C BYLENGA consented to the sanction and to the entry of findings that he refused to produce documents and information requested by FINRA during the course of an investigation. The investigation began after his former member firm amended his Form U5 reporting that it had initiated an internal review to determine if Bylenga received loans from his clients while associated with the firm. JAMES C BYLENGA was with LPL FINANCIAL in Portage, Michigan, from 2016 until he was allegedly discharged in August 2018 because of “concerns over his advisory fee structure,” reported FINRA. According to FINRA’s BrokerCheck, available to the public on FINRA’s website, JAMES C BYLENGA, also has a settled “Customer Dispute” on his report dated 11-27-18. The allegations were, “Personal representative of the customers allege that their funds were inappropriately received by the FA (Financial Advisor) as loans.” The damage amount requested was, $175,000.00. The settlement amount was, $210,000.00. If you’ve experienced losses due to the recommendations or actions or JAMES C BYLENGA, formerly of LPL Financial of Portage, Michigan, contact Soreide Law Group and speak to an experienced securities lawyer at no cost regarding the possible recovery of your investment losses through a FINRA arbitration at: 888-760-6552. 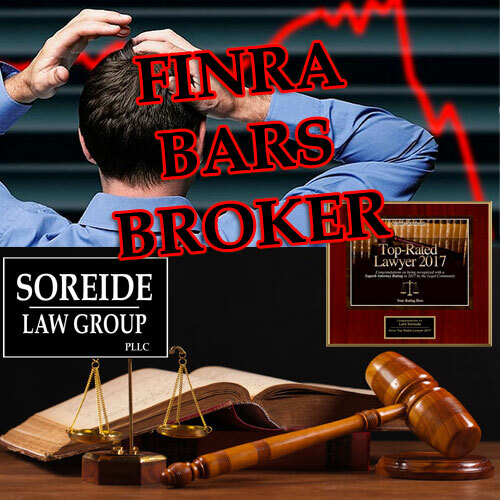 Soreide Law Group represents our clients nationwide before FINRA. We operate on a contingency fee basis, no fee to you if no recovery.